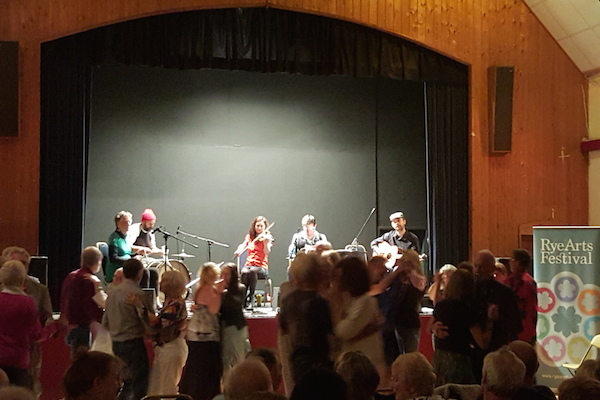 This year’s Festival got off to a rousing start with all tickets taken for the 5-piece Cajun band, The Hotfoot Specials, who were, of course, guaranteed to get lots of people dancing. Specialising in music from Lousiana they played accordion, fiddle, guitar, drums and triangle. Widely acknowledged by British Cajun fans as possibly the most authentic-sounding band on the circuit, they incorporated great singing (in Cajun French) with superb instrumental skills.